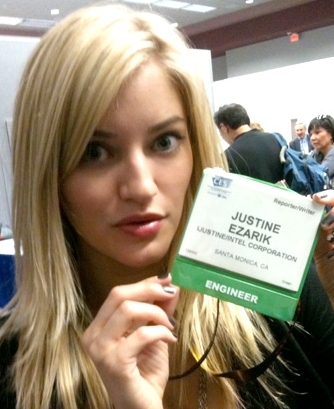 Our favorite Apple-obsessed blogger (OK, after FSJ) shows off her CES “credentials.” Intel engineer? Who knew? And below, she was ready to tear into a cyber-squatter until she realized who had the name after all.